TMD (sometimes called TMJ) refers to complications in the structure of the jaw (temporomandibular joint). 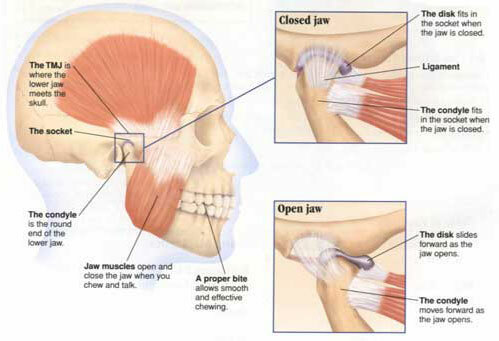 Your Temporo-mandibular joints (TMJ) are located on both sides of your face just in front of your ears, connecting your jawbone to your skull. They are considered the most complicated joints in the human body and allow the wide range of motion that makes chewing, talking and laughing possible. TMJ/TMD can be extremely painful and life altering for those affected. TMD can be a temporary issue or it can be persistent for years. Grinding and clenching your teeth is a major cause of TMD, and because it usually happens when you are asleep, it’s hard to prevent. In order to stop this issue and ease the pain that comes from TMD, Dr. Hassey and Dr. Do Duy offer custom-made bite guards. Your custom-made bite guard is designed exactly for your teeth to help your unique issues. It will put an end to late night teeth grinding, and will also help by keeping your teeth in the best position to improve your bite. Call us today at 978-688-4441 to set up an appointment and learn more about getting your own custom-made mouthguard.